I don’t know about you, but my children have the uncanny ability to break every single crayon that touches their hands. I guess I should invest in chubby crayons, but I just haven’t yet. 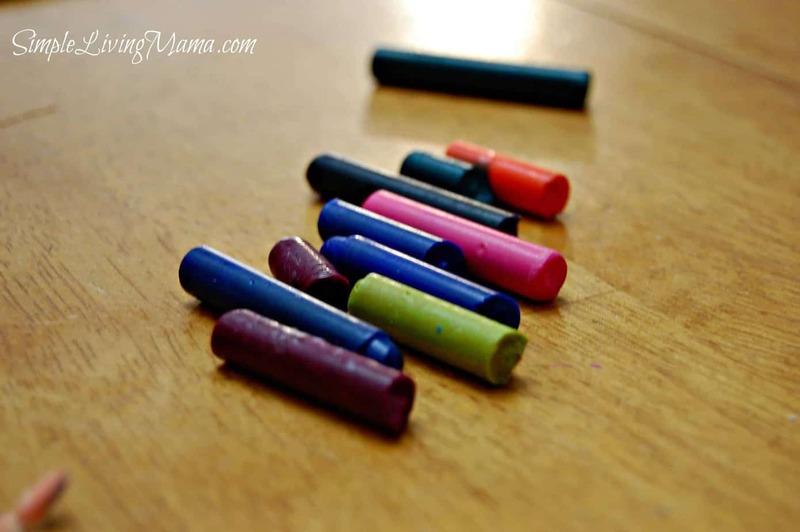 We keep on using the broken crayons even though they are so difficult to color with. Yes, I admit. 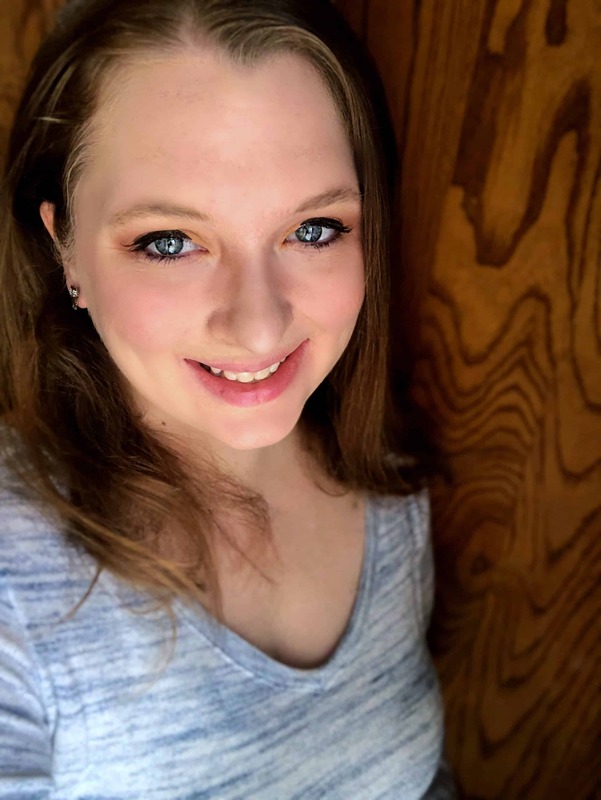 I like to color, too! Now we have a solution for our broken crayons! 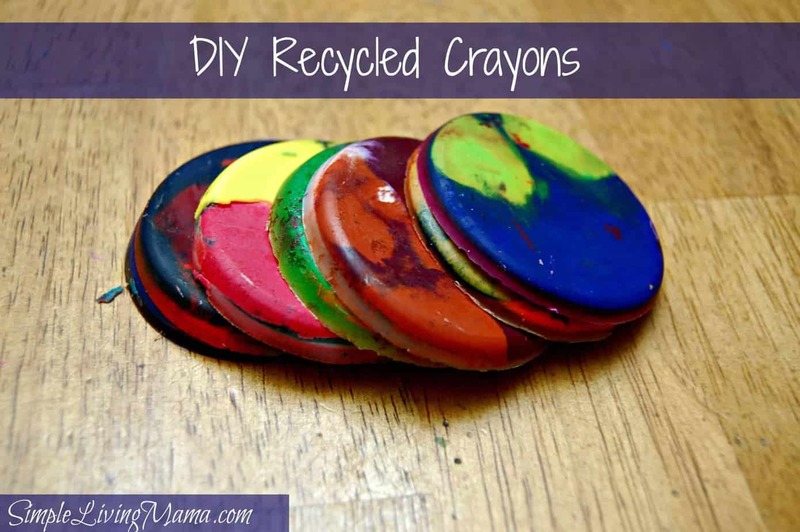 I saw a project for recycling crayons somewhere on the web and thought it would be the perfect solution for our bag of broken crayons. 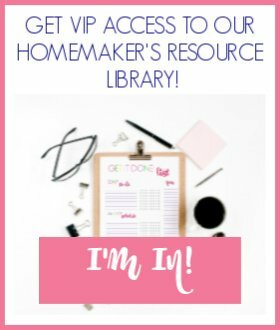 The kids were very excited to help do this project and it was super easy. Start by peeling all of the paper off of your broken crayons. Mom needs to chop the crayons into smaller bits and then put them into a muffin tin. 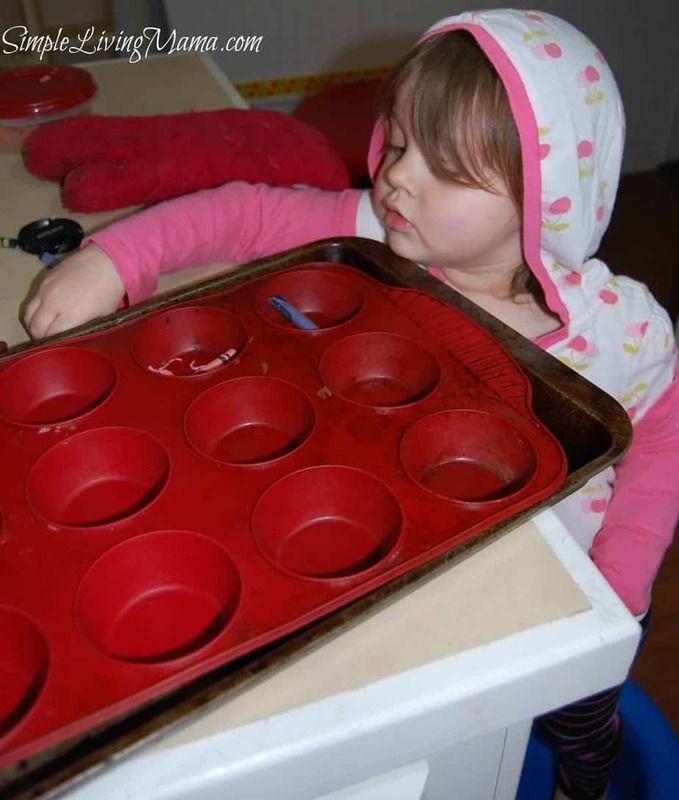 Help from littles to mix and match colors is appreciated, but pull those wrapper bits out before you bake! 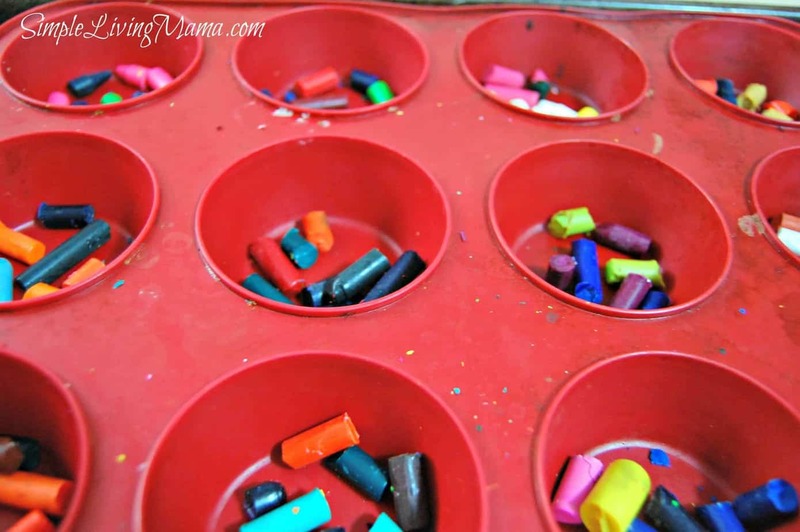 Melt the crayons in your 350 degree oven for 5-8 minutes. Mine went 7. 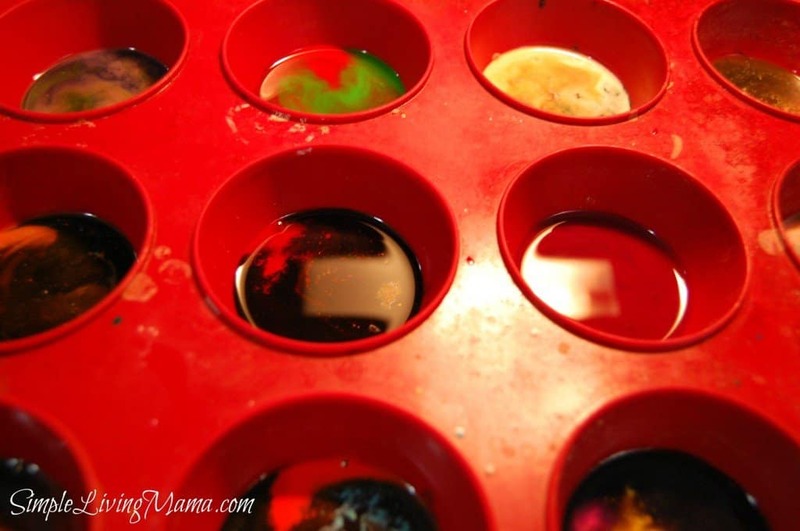 You’ll see above what melted crayons look like! Let them cool for about an hour. Pop them out of the muffin tin and get to coloring with your cool, psychedelic crayon discs! 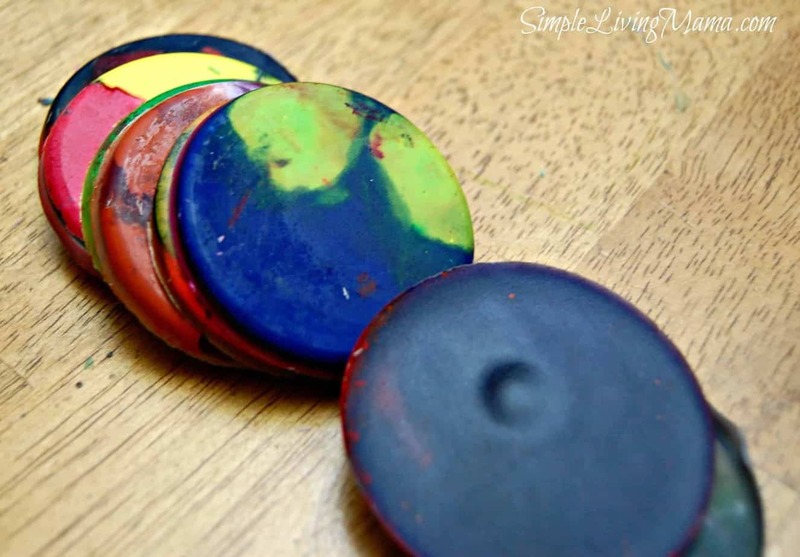 If you have any fun, oven-safe molds you can make smaller recycled crayons in cool shapes!